I’m in shock at some of these. 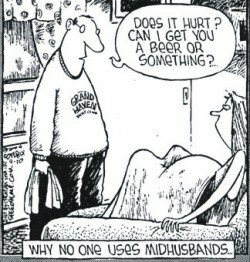 I have only had one experience with a mid-wife, but “get angry with your baby?” Seriously? Floored by many of these. I did have my mid-wife say to me while swaying in the hallway with my husband dancing to music (Cracker, oddly enough, lol), “You’re gonna have to bend more and sway more if you expect that to work” I distinctly being in the bathroom right after that feeling deflated asking my doula, “am I doing this wrong? What if I can’t do this?” She was the positive one who said all the right things and perked me right up. This is perfect! Thank you so much! Such useful tips for me as a Doula but also for other medical staff and support people! I use “Surge” instead of Contraction but I like Waves! I sent you a request this morning asking for some specific tips as I may be attending a birth as a support person. Then I began reading your blog posts and now I have a page of things to do, say and bring. This post drives home how important positive word choices are.